I have a show called Unsupervised Learning, where I do Content Curation as a Service. I consume 5-20 hours of books, podcasts, and articles per week, and then curate that into a 15-30 minute summary. A number of people have asked me about my setup, so that’s what this is. Most of these types of posts are from super podcast / audio pros who are basically giving a reference architecture. This isn’t one of those posts. I basically fumbled my way into a workflow that seems fit for purpose, but it’s not necessarily ideal. I would appreciate any pointers from people who know what they’re doing. The show is actually both a podcast and a newsletter, and the newsletter serves as my podcast show notes, so each podcast episode has an image and link to the newsletter. 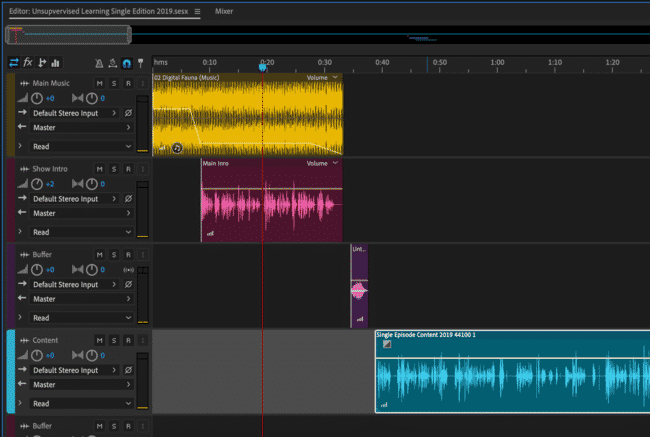 Record the show by talking through the stories in the newsletter, using Adobe Audition as the input software 4. Apply my custom voice filtering to the audio track, which consists of Adaptive Noise Reduction and removal of reverb with DeVerberate (with gain boosted as well). Recording takes 15-30 minutes, depending on how much content I have. I try to keep the shows short, but if I have something I go into depth on I can get up around 60 minutes. Post production, i.e. steps 3 to 11, takes about 3 minutes or so. The vast majority of the time comes in steps 1 and 2, which happens throughout the week and probably takes 1-3 hours of collecting and organizing. 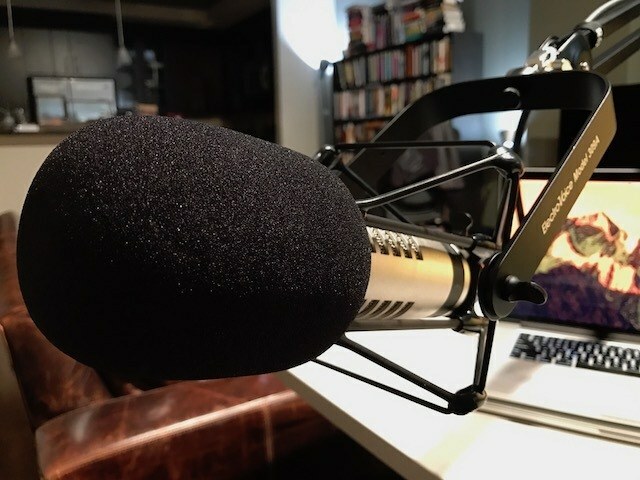 Overall news reading is part of the process, however, so if you count that I probably spend at least five evening and Sunday hours either reading news, recording, or publishing both the podcast and the newsletter. Well, that’s my current process. Like I said, I’m not claiming it’s a good one, but I’ve been doing this since January of 2015 and this seems to be the best system I’ve had so far. People would rather have a bad-sounding show that’s super high-quality and that comes out every week, than a great sounding show about nothing, or one that constantly skips weeks or comes out at unpredictable times. Anyway, I hope this all helps someone, and if you have tips on how to optimize or improve the process, do let me know. Nov 21, 2016 — Moved to Audition and OmniStudio from Audio Hijack, Garageband, Blurbbry, and Soundcloud. Jan 15, 2017 — Moved from my Yeti Mic to the Electro Voice RE27.